Times Square is already a major travel destination, and teaming up with Levi’s® , we're giving you one more reason to visit NYC. 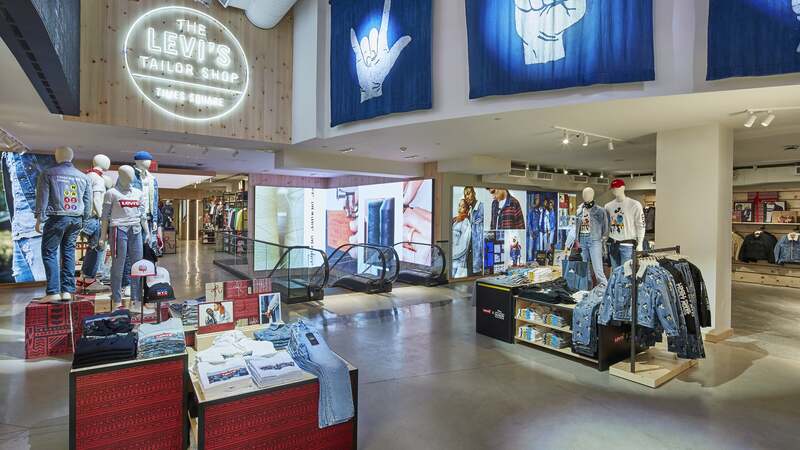 Featuring tailors, a print shop, and more, the new Levi’s® flagship store is the largest in the world — and it's just as amazing as you would imagine. New York City's Times Square is one of the world's biggest tourist attractions. (The stores! The iconic billboards! The New Year's Eve ball drop!). Truth be told, it's not typically a hangout for locals like me, but thanks to a brand-new shopping destination, I'll be visiting a lot. Why? 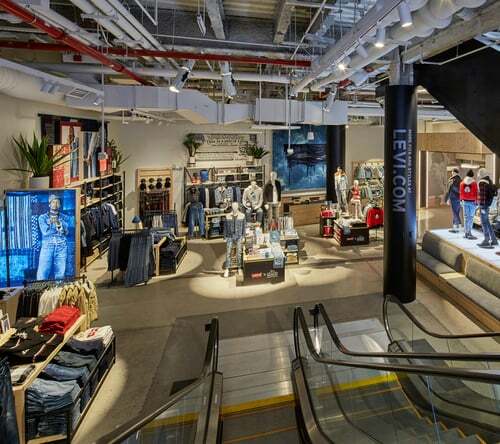 Four words: Levi’s® new flagship store. 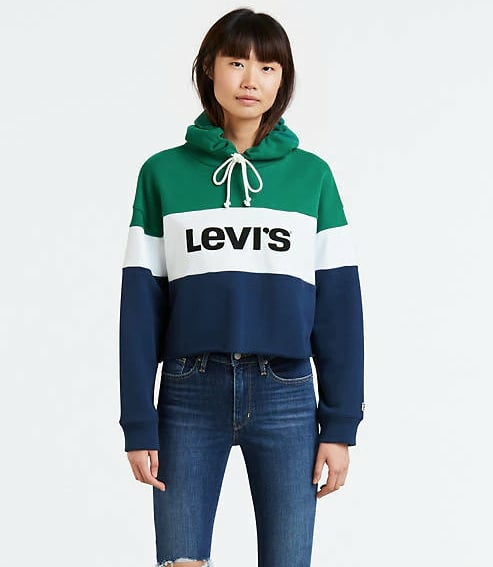 Not only is it the largest Levi’s® store in the world at 16,902 square feet, but it also offers the largest assortment of Levi’s® products under one roof with tons of cool features. I attended the grand opening of the new clothing mecca at 1535 Broadway (between 45th and 46th Streets), and let's just say I was beyond impressed. 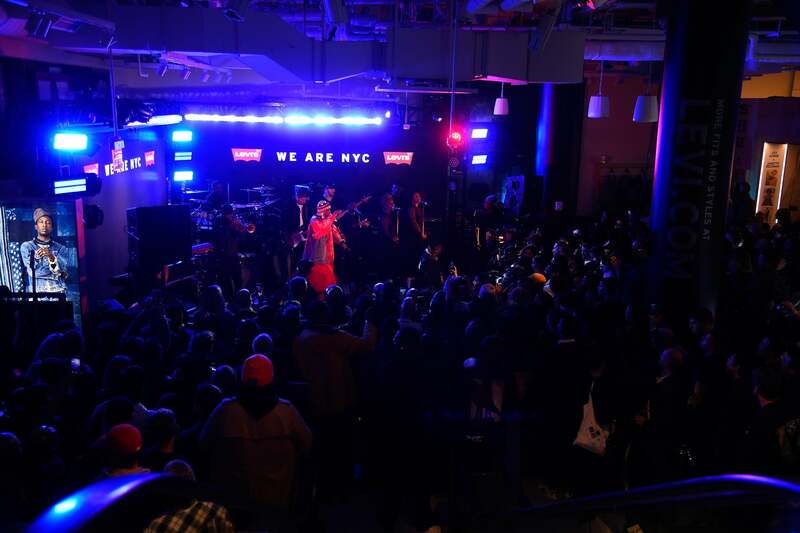 First, Levi’s® knows how to throw a party! Upon entering the multilevel store, I was immediately greeted by the sounds of a DJ and food carts offering delicious local bites. Hailey Baldwin, Joan Smalls, Ansel Elgort, Christie Brinkley, and more celebs attended the star-studded event, while Ms. Lauryn Hill, Nick Zinner of the Yeah Yeah Yeahs, Joey Bada$$, and more performed. Once I got my lay of the land, I took full advantage of the new store's incredible features, which are all now available to the public seven days a week. First up, I tried one of the multiple design stations where shoppers can customize their denim. I ended up getting a photo of NYC screen-printed on the back of my Levi’s® Original Trucker Jacket. Doing so made my jacket completely unique to me, and I love having a piece that I helped create in some small way. And the personalization didn't stop there. I also added a lion patch to the jacket's left sleeve (where are my fellow Leos? ), and got my last name embroidered above the jacket's right front pocket as well. You guys, the possibilities are endless! Other guests decorated their jackets with pins, rhinestones, and spray paint, and everyone walked out rocking a one-of-a-kind piece of art. This was definitely a highlight of the night. 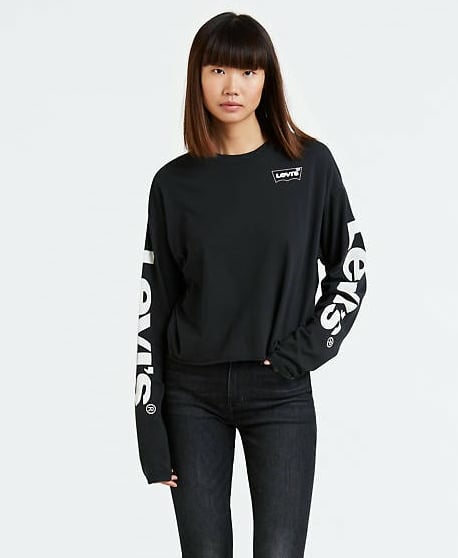 Now you too can create your own piece of wearable art at the tailor shop, which is Levi’s® largest in the world and features on-site tailors and direct-to-garment printing capabilities. With iPads and tailors staffing the shop from the time the store opens at 8 a.m. to when it closes at 1 a.m., shoppers can deck out their finds with preloaded photos, images, logos, and even text designed by local New York artists. 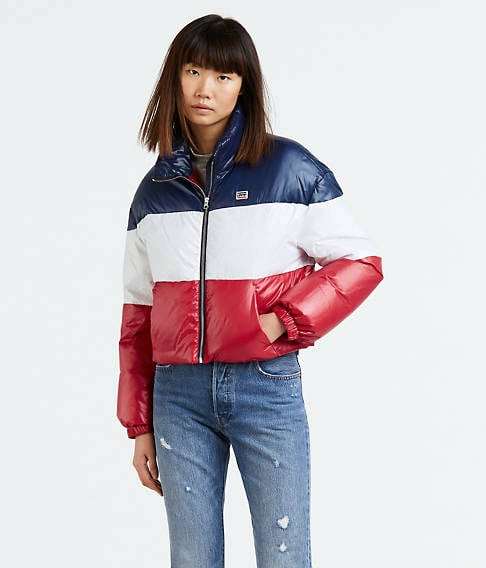 You can also get gorgeous embroidery, printed paneling, and tailoring done, in addition to adding various patches and pins to your pieces. I'm already getting so many fun ideas for holiday gifts! 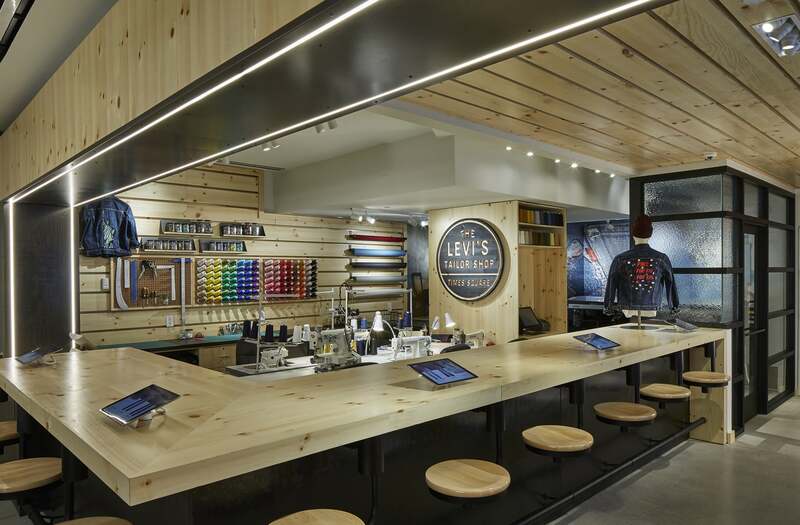 Of course, the in-store customization features are amazing — they're Levi’s® most comprehensive options to date — but that's not all there is to look forward to when you visit. 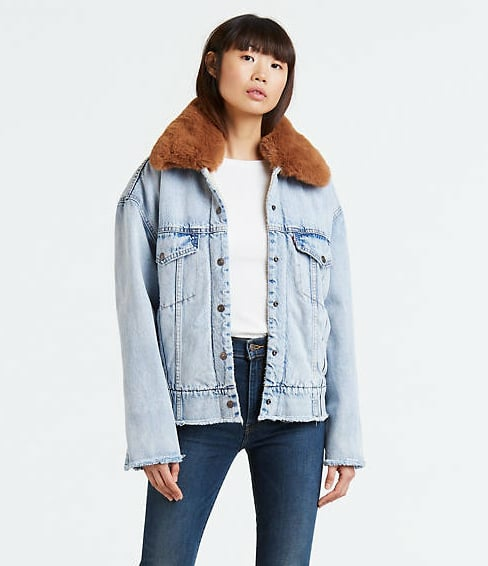 Not only can you shop Levi’s® , Levi’s® Premium, and Levi’s® Made & Crafted lines, but there's also a Levi’s® vintage clothing area where you can buy and try on one-of-a-kind Levi’s® Authorized Vintage pieces. 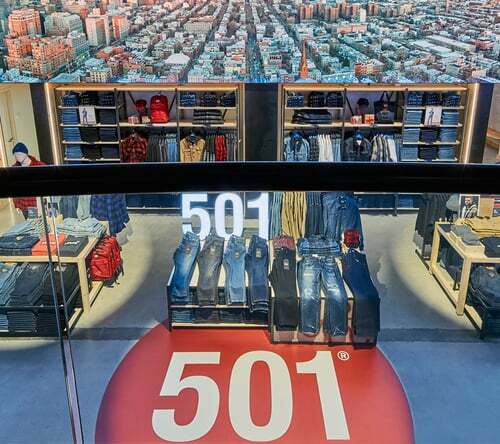 In addition, this flagship has Levi’s® collaborations, accessories, footwear, and kids sections, as well as specialized local Levi’s® finds offered only at this flagship. I personally love this store so much because it takes shopping to the next level. 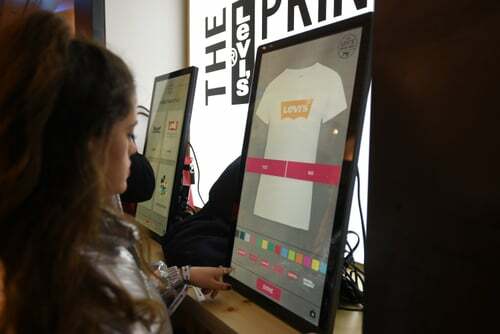 Levi’s® has made this in-store experience personal, easy, fun, and most importantly, memorable. The store aesthetic is bright and clean with a modern design and sleek screens. 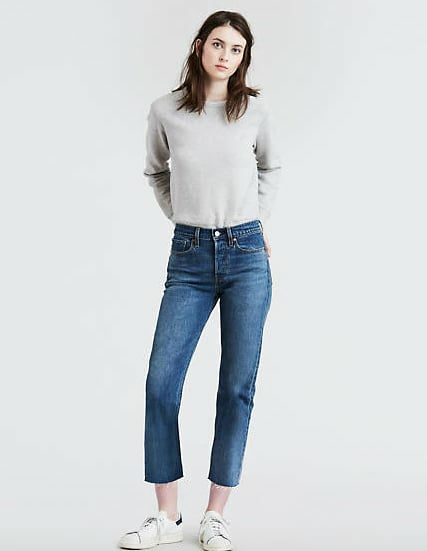 There's comfortable seating, large dressing rooms, and it seems the iconic brand hasn't skimped on any of the details either — even the store hangers are made from 100 percent recycled jeans. And, of course, you can't deny the impressive quality of the products. 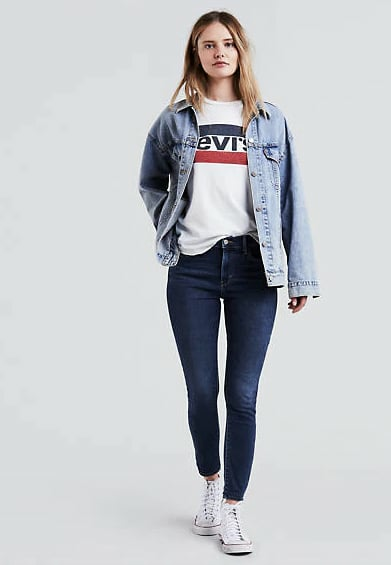 From their world-famous denim to their chic sweaters and sporty tees, there's so many ways to live in Levi’s®.